Born in New York in 1794, Samuel L. Breese commanded the USS ALBANY from October 14, 1847 to August 27, 1847. Breese’s extensive military career in the Navy included being present at the Battle of Lake Champlain in 1814, for which he was presented a sword from the President of the United States for his service as midshipman. Breese earned his ranks in the navy as Acting Lieutenant, Commanding Officer, Lieutenant, Master Commandant, Captain, Commodore on Retired List, Rear Admiral, and finally, Port Admiral. His career took him to such places as the Mediterranean, West Indies, Newfoundland, Labrador, and while aboard the Albany, to Tuxpan, Tobasco, and Vera Cruz. He was a student of the French and Spanish languages, a member of Board of Examiners, President of Naval Court of Inquiry and Senior Member of General Court Martial. Breese died at Mount Airy, Pennsylvania, on December 17, 1870. 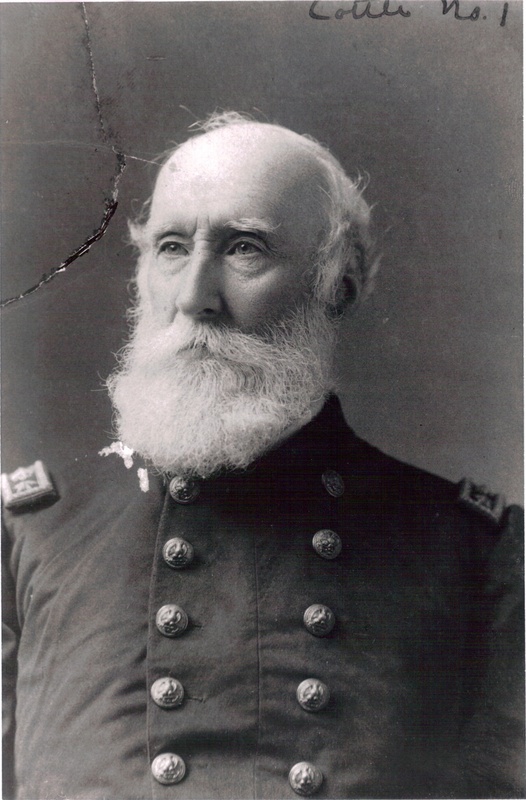 Captain George B. Balch, Commander of the USS Albany from 1868-1870, was most notably commended for his assistance in the rescue of officers and marines from the sinking transport, Governor. He also earned recognition for his gallant action while on duty in the South Atlantic Blockading Squadron and while in command of the boat attack taking possession of Tybee Island. In addition, he was conspicuous in operations in the Stono, at Battery Pringle, and at Tagoda, North Edisto, South Carolina. 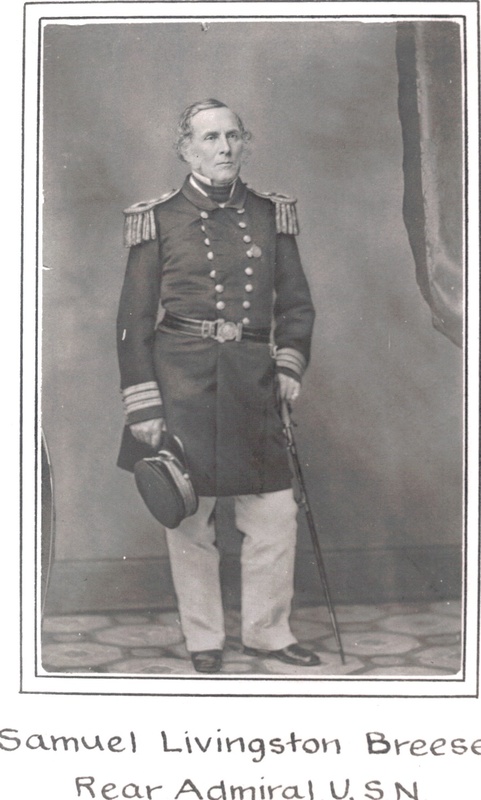 Born in Tennessee in 1821, Captain Balch achieved rank as Rear-Admiral after a lifetime career in the Navy. He was actively engaged in operations afloat and ashore with the army in the war with Mexico, notably at first attack on Alvarado, Vera Cruz and surrender of San Juan d’Ulloa from 1846-47. He commanded the advance post while serving on the Asiatic Squadron in the fight between rebels and imperialists in Shanghai, China, where he was wounded in action. He served as Superintendent of the U.S. Naval Academy from 1878 to 1883. Captain Balch died in 1908. Born in 1845 in Medina, New York, Joseph E. Craig was appointed to the Naval Academy and was a graduate of the Class of 1865. After graduating he had various assignments prior to receiving orders to Elswick, England for duty as the commanding officer of the USS Albany from 1900-1904. 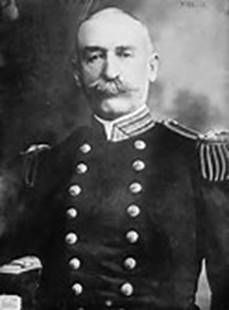 Craig continued to earn rank as Commander, Captain and prior to his retirement in 1907, achieved Flag Rank of Rear Admiral. USS ALBANY from 1945-1947. According to his daughter, ALBANY was a brand-new ship and he was able to command her through very intensive “shakedown” tests, in preparation for sea worthiness. Captain Carlisle, born in Michigan in 1898, is accredited with an excellent background in Mechanical Engineering. His Naval duties included service on the USS CALIFORNIA, the battleship WYOMING, Engineering Officer of the USS FARRAGUT (the first alternating-current powered ship in the Navy), Executive Officer of the destroyer ARRON WARD, Material Officer of Destroyer Flotilla 1 and Commander Destroyers, Battle Force. He was awarded the Commendation Ribbon for his duty in the Bureau of Ships and a Bronze star for amphibious operation at Levte, Lingayen Gulf, Iwo Jima and Okinawa. Other awards include the Victory Medal, American Defense Service Medal with Fleet Clasp, Asiatic-Pacific Area Campaign Medal, the American Area Campaign Medal and the World War II Victory Medal. 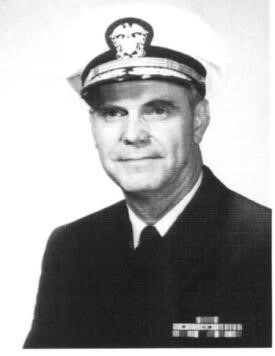 Captain Harold A. Carlisle was commissioned Rear Admiral prior to his retirement in 1951. Captain Ben Brown Pickett, born in Arkansas in 1915, took command of the U.S.S. ALBANY following an impressive education in Electrical Engineering and a successful career in the Navy. 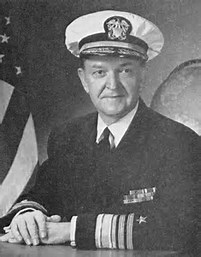 Prior to and during World War II, Captain Pickett served on two Pacific based cruisers and a battleship. He was awarded the Navy Unit Commendation ribbon for his service at Pearl Harbor onboard the cruiser U.S.S. ST. LOUIS during the Japanese attack on December 7, 1941. He also served on the battleship U.S.S. IDAHO and the U.S.S. VINCENNES and took part in the Marshall and Gilbert Islands raids and the Aleutian, Central Solomon and Marina Islands campaigns. Other fleet appointments included commander of the U.S.S. WINSLOW, and the U.S.S. GYATT, service as Executive Officer of the U.S.S. NORTHAMPTON, duty on the staffs of the Commander Operational Development Force, Commander Mine Force, Atlantic Fleet, and duty on the staff of Commander in Chief U.S. Naval Forces, Eastern Atlantic and Mediterranean. He also served in the Bureau of Ordinance, Washington, D.C., and the Naval Ordinance Laboratory. On August 10, 1965 Captain Ben B. Pickett was promoted to Rear Admiral and after an impressive career retired June 30, 1971. Commander Darl R. Anderson, a native of Ashtabula, Ohio, came onboard as Commanding Officer of the U.S.S. ALBANY with a long history of education in physics, Navy nuclear power, and business management. His Naval career consists of service as Electrical Officer and Main Propulsion Assistant onboard the USS ULYSSES S. GRANT from 1974 to 1981. In 1981, Commander Anderson was relieved as Material Officer on the staff of Commander Submarine Squadron EIGHTEEN in Charleston, South Carolina. In 1983, he reported for duty as Executive Officer onboard the USS GRAYLING. 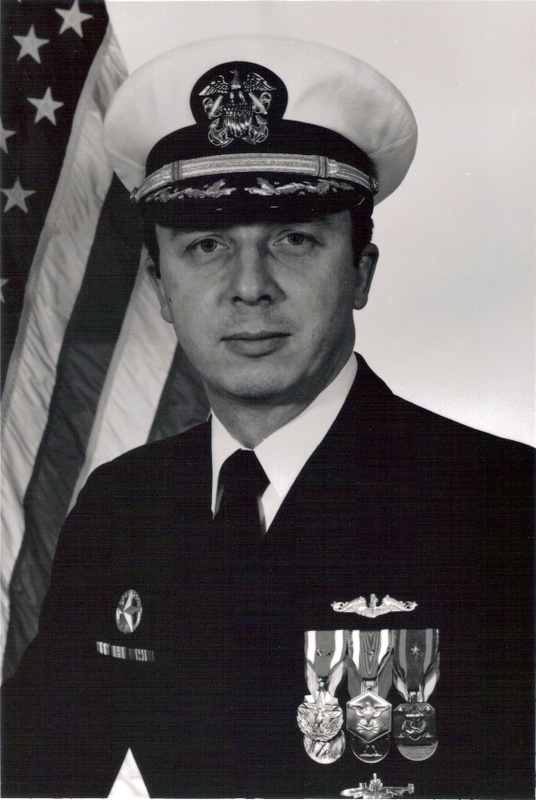 From 1986 to 1988, he served on the SEAWOLF Design Project under Commander Naval Sea Systems Command in Washington, D.C., managing the submarine propulsion design and development program. His awards include the Meritorious Service Medal with two Gold stars in lieu of second and third awards, the Navy Commendation Medal with Gold star, the Meritorious Unit Commendation with Bronze star, the Navy Expeditionary Medal, the National Defense Service Medal, the Vietnam Service Medal with Bronze star, the Sea Service Ribbon with Silver Star, and the Arctic Service Ribbon.